East Tennessee State University. M.B.A. and Ed.S. Proud Harley-Davidson rider and Motor Maid MC member. What is your background in Information Technology? I worked in the information technology field for more than 20 years. I programmed computers safety systems for miners working underground. When I left I was managing 48 employees in seven states. It was a very fast-paced, get-it-done-yesterday corporate atmosphere. How was the transition from the corporate world to the classroom? It was a lot harder than I thought it was going to be. I expected students to be accountable like professional employees, but that was not the case. I’ve had to develop ways to keep them on track. For example, we love the Remind app to keep students aware of assignments and exam dates. How has Information Technology changed over time? Everything now is faster, better, and more efficient. In networking where we once were able to take drives and cables to physically arrange a network we can now do it electronically. The students like to be able to drag and drop a router onto a network. But there are students who still love to take computers apart and put them back together. In cyber defense, we talk about software engineering and how to tell the difference between a spam mail and a cyber defense incident. Conventional wisdom says that high school students are far ahead in their knowledge of computer technology. Generally speaking, is that true? Yes, it is. What they don’t have a grasp of, is time management and successful study habits. Study habits are built by studying at least 10 to 15 to 20 minutes per subject every day. You will know and learn much more all through the semester. This gives you a much better grasp of the subject, and you will remember it. Trying to learn everything before an exam will not help you remember over time. Why should students pursue a degree in cyber defense? Compared to when I was in high school, there is so much more out there to do and so many new avenues available to them. When I started working at Cisco I was the only female at the table. Or underground in the coal mine or on top of a silo in a pit mine. I really want to encourage women to enter the cyber defense field. Women are great multitaskers and bring a lot of creativity and detail-oriented thinking to the field. By 2020, there is going to be a large deficit of professional needed in the cybersecurity field. There is a wealth of professional opportunities now and with many more waiting in the future. What appeals to you about Northeast State? I like the fact we don’t have 50 students in a classroom. You get a smaller learning group. It creates a much more caring environment. I also like that the students are here because they want to learn. I try to learn all my students’ names. I think it is very important that if you come to class the professor knows your name and forms a personal connection with the student. I learn a lot of new things from students. I work for Harley Davidson and the Motorcycle Safety Foundation as an instructor for safety courses. You do a lot of and recertification classes for safety. I’m also a member of the Motor Maids, the oldest women’s motorcycle club in the United States. I’ve been on a bike since I was four years old. I actually met my husband at a gas station while we were both riding motorcycles. Northeast State invites students and community members to attend its Spring Career Fair 2018, Thursday, April 19, from 1 p.m. to 4 p.m. in the Wellmont Regional Center for the Performing Arts on the Blountville campus. Employers attending the career fair will represent a wide variety of companies from around the region. Industry and business sectors including manufacturing, healthcare, financial, information technology, insurance, education, retail, hospitality, and food service will be in attendance. Also, representatives from several colleges and universities will be on hand with program information. The Northeast State spring Career Fair is set for April 19 from 1 – 4 p.m.
Tittle advises job seekers to bring resumes, dress appropriately, and talk with a variety of employers. The Wellmont Regional Center for the Performing Arts is located on the College’s Blountville campus, 2425 Highway 75, adjacent to the Tri-Cities Regional Airport. For more information, contact the Northeast State Career Services office at 423.354.5167 or careersvcs@northeaststate.edu. Who wants to be a professional drone pilot? Northeast State Community College is offering an information session April 30 on FAA requirements for obtaining a remote pilot license for drones. The briefing is scheduled from 5 p.m. to 9 p.m. in the Wellmont Regional Center for the Performing Arts on the Blountville campus. Richard Blevins, department head of the College’s Aviation Technology program, will lead the session. In addition to the Federal Aviation Administration information, Blevins will cover current and projected drone classes offered by the College. Special information for first responders and educators will also be presented. Several drones will be on display including a Mavic, a Matrice 100 with an infra-red camera, a Matrice 100 with high-intensity lights, a Matrice 600, an Inspire, a Phantom 4, and the Bristol Police Department’s DJI 200 model. Northeast State will offer an information session on drone piloting April 30 from 5 p.m. to 9 p.m. on the Blountville campus. Northeast State students enjoyed a weekend of winning and recognition for their achievements at the Phi Theta Kappa (PTK) International Honor Society’s Tennessee Regional Convention held March 23-25 at Cleveland State Community College. The College’s Alpha Iota Chi chapter of PTK won 1st Place Award as Distinguished Chapter in the state of Tennessee. The chapter also earned the 1st Place award for Distinguished College Project and the 2nd Place award for Distinguished Honors in Action Project. Alpha Iota Chi members also received several individual honors for their work. Sydnee Merritt won the 1st Place Award as Distinguished Chapter Member. Dakoda Goodwin received the 1st Place award as Most Distinguished Chapter Officer while Paige DiPirro won 2nd Place in the same category. Angela Cobble was elected as 2018-19 Vice-President East, for the Tennessee Region. 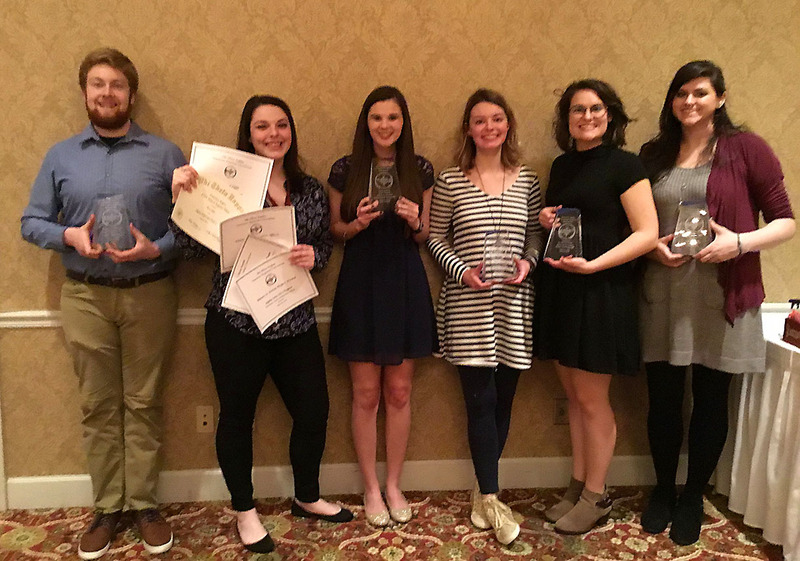 Alpha Iota Chi won big at the PTK Tennessee Regional Competition. Chapter advisor and Northeast State faculty member Prof. Jane Honeycutt received the 1st Place Award as Continued Excellence Advisor for her work with Alpha Iota Chi. Honeycutt also serves as director of the Northeast State Honors Program. The chapter officers are: President, Dakoda Goodwin; Co-Vice Presidents of Scholarship, Jenna Jacobs and Paige DiPirro; Honors in Action Chair, Lindsey Post; Vice President of Leadership, Abbie Saulsbury; Vice President of Fellowship, Emily Burroughs; Vice President of Communication, Cooper McCoy; Vice President of Service, Prince Buckman; Caleb Wheeler, Secretary; and Joy Shepherd, Treasurer. Alpha Iota Chi consistently ranks among the best chapters in the Tennessee Region for scholarship and achievement. Alpha Iota Chi was also recognized as a Five Star chapter and a Chapter of Light. Faculty advisors to the chapter are Profs. Teressa Dobbs and Erin Ferris. Chapter members will compete at the PTK Catalyst annual convention scheduled April 19-21 in Kansas City. Phi Theta Kappa improves student success by providing opportunities for recognition, scholarships, and intellectual development through scholarly programs based on the Society’s Hallmarks of Scholarship, Leadership, Service, and Fellowship. 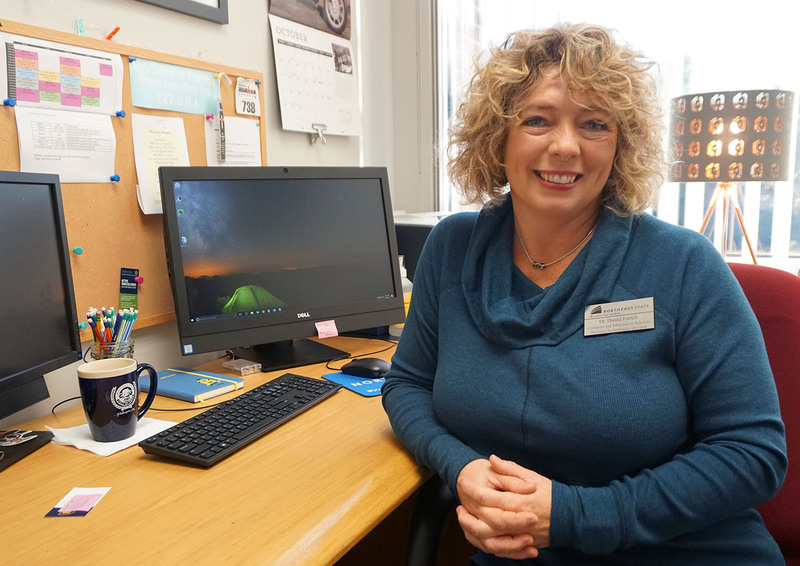 Phi Theta Kappa has recognized academic excellence in the two-year college with more than two million students inducted since the society’s founding in 1918. The society is composed of more than 1,200 chapters at community, technical and junior colleges in all 50 states and several foreign countries. Northeast State’s SkillsUSA chapter, which was created a mere eight months ago, achieved outstanding success recently earning three gold medals, three silver medals, and one bronze medal at the Tennessee 2018 Leadership and Skills Conference. The gold medalists have the opportunity to compete in the SkillsUSA National Leadership and Skills competition set for June 25-29 in Louisville, Ky. More than 16,000 students, teachers, and business partners are expected to participate in the week-long event. Also, Northeast State’s Austin Cox, who is president of the Tennessee SkillsUSA Postsecondary Association as well as president of the College’s SkillsUSA chapter, will compete for a national office at the conference. Also participating in the state competition were Landon Gentry, Welding; William Smith, HVAC-R; and Greg Johnson, Automotive Service. Northeast State also garnered the James D. King Division II award for colleges. The award is named for King to honor his commitment to making SkillsUSA a priority experience for Tennessee College of Applied Technology students and his work to establish the Tennessee Postsecondary SkillsUSA Association. The award is based on the most points accumulated by the school’s SkillsUSA chapter and the number and type of medals received at the state competition. In addition to the students, Northeast State President James D. King earned the 2018 SkillsUSA College Postsecondary Leadership Award. Northeast State advisors who attended the competition were Jeff Coalson, Ernie Morelock, Roger Byington, and David Blair. Lending support the Northeast State team were Theresa Krause, Dr. Sam Rowell, Keith Tittle, JT Putney, and the office of Career Services.